The Chickasaw are members of the Southeastern Native American tribes. Early European explorers first encountered them in 1540, when the Chickasaw were living in what are now the States of Mississippi and Tennessee. Chickasaw were relocated to Oklahoma in 1830 along with the other members of the Five Civilized Tribes—the Choctaw, Creek, Cherokee, and Seminole. The Chickasaw are renowned for their skill as warriors and statesmen. Their village life centered around the seasons and war. Ancient stories speak to a relationship with the Choctaw like two brothers, but they later fought against each other, even taking opposing sides with the colonists—the Chickasaw joining the British and the Choctaw the French. During the American Civil War the Chickasaw, who had slaves sided with the South and were the last Confederate ally to admit defeat. The Chickasaw were very involved in business, farming, and trade in early stages of the development of the United States. As a federally-recognized tribe today they operate a number of successful casinos and other businesses. Although their numbers were endangered during the time of forced relocation, their population has increased tenfold since that time. Committed to family and community, and with a deep-rooted sense of their cultural identity they are a people determined to not only survive but to prosper and live well. Despite their difficult past, they remain both in body and spirit unconquered and unconquerable. The Chickasaw are a Native American people of the United States, originally from present-day Tennessee and Mississippi, now mostly living in Oklahoma. They are related to the Choctaws, who speak a language very similar to the Chickasaw language, both forming the Western Group of the Muskogean languages. 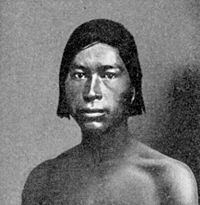 "Chickasaw" is the English spelling of Chikashsha (IPA: [tʃikaʃːa]), that means "rebel" or "comes from Chicsa." Chicsa and Chocta were fabled to be brothers that later became the Chickasaw and Choctaw tribes. It also is a Muskogean name referring to the act of sitting. The Chickasaw are divided in two groups: the "Impsaktea" and the "Intcutwalipa." They traditionally had a matrilineal system, in which children were considered to be part of the mother's clan, where they gained their status. Some property was controlled by women, and it and hereditary leadership among the tribe passed through the maternal line. The Chickasaw were one of the "Five Civilized Tribes" (the others being the Creek people, the Cherokee, Choctaw, and the Seminole) who adopted numerous practices of European Americans but were then forcibly removed to the Indian Territory during the era of Indian Removal. The Chickasaw Nation today is the thirteenth largest federally-recognized tribe in the United States. The origin of the Chickasaw is uncertain. They were probably descendants of Indians of the pre-historic Mississippian culture. They may have been included at one time with the Choctaw. The Chickasaw first had contact with Europeans in 1540, when Spanish explorer Hernando De Soto encountered them and stayed in their eponymous town, Chicasa, at present-day Lawrenceburg, Tennessee. At that time, the Chickasaw were living in villages in what is now Mississippi and western Tennessee, with a smaller number in South Carolina. After various disagreements, the Chickasaw attacked the De Soto expedition, and the Spanish moved on. The accounts of those sixteenth century Spanish Explorers - Hernando de Soto and others - drew word pictures of societies marked by levels of social, political, economic, and spiritual complexity that we still understand imperfectly. But we do know that this Mississippi world was the product of thousands of years of history. The Chickasaws began to trade with the British after the colony of Carolina was founded in 1670. With British-supplied guns, the Chickasaws raided their enemies the Choctaws, capturing Choctaws and selling them into slavery, a practice that stopped once the Choctaws acquired guns from the French. The Chickasaws were often at war with the French and the Choctaws in the eighteenth century, such as in the Battle of Ackia on May 26, 1736, until France gave up her claims to the region after the Seven Years War. Tribal allegiance during the American Revolutionary War favored the English. In May 1779, the Chickasaws received a written threat from the State of Virginia regarding the need for their neutrality. Chickasaw leaders responded with a letter of retort. There was only one actual battle involving the Chickasaw. Constant warfare during the eighteenth century created a need to bring in British traders to the tribe. Descendants of British men and Chickasaw women became tribal leaders. Some of them later became state politicians. The majority of the tribe was deported to Indian Territory (now headquartered in Ada, Oklahoma) in the 1830s. All tribal lands were ceded east of the Mississippi in 1932. Approximately 3,000 Chickasaw were forcibly removed. During this time they suffered a large loss in population due to disease, starvation, and attacks from the Plains Indians. By 1855, much of their original culture was lost and the way of life became similar to the settlers of the South. During the American Civil War, the Chickasaw Nation allied with the South and it was the last Confederate community to surrender in the U.S. In the early to mid-nineteenth century they harvested cotton on their expanding farmland, owning over 1,000 African American slaves. Many Chickasaw merchants and farmers prospered during this time. The Chickasaw Nation Capital (1855-1907) was Tishomingo, Oklahoma. In 1907, all tribal governments in Oklahoma were dissolved by Congress in preparation for Oklahoma statehood. By 1920, Chickasaw land was reduced to a fraction of the original size. After the dissolution of tribal governments, the capital building was used as the Johnston County Courthouse. It was reclaimed by the Chickasaw Nation in 2005. Remnants of the South Carolina Chickasaws, known as the Chaloklowa Chickasaws have reorganized tribal government, and gained official recognition from the state in the summer of 2005, having their tribal headquarters at Indiantown, South Carolina. The Chickasaw placed great emphasis on the prowess of their warriors. The population was small compared to neighboring tribes and the influx of European settlers. Yet they warred against the Choctaw, the Creek, the Cherokees, and the French, among others. Boys were trained at an early age in skills of the warrior; they were expected to control pain and discomfort without complaint. The men painted their faces and shaved the sides of their heads when preparing for war. During war, the villagers moved into a fortified town for protection. The Chickasaw were a semi-nomadic people who roamed not only their own territory and constantly raided that of neighboring tribes. When they defeated another tribe, they took any survivors into their own, with the result that they became of mixed blood. They were divided into two moieties (divisions based on kinship ties) which were then divided into clans. Each tribal member inherited the clan of their mother and were forbidden to marry within their clan. There was a high chief and a council of advising chiefs. The suffix "-mingo" (Chickasaw: minko' ) is used to identify a chieftain. For example, "Tishomingo" was the name of a famous Chickasaw chief. The town of Tishomingo, Mississippi and Tishomingo County, Mississippi were named after him, as was the town of Tishomingo, Oklahoma. South Carolina's Black Mingo Creek was named after the colonial Chickasaw chief, who controlled the lands around it as a sort of hunting preserve. Sometimes it is spelled "minko," but this most generally occurs in older literary references. Head priests, the hopaye, presided over ceremonies and provided spiritual guidance. The supreme deity was Ababinili, a being uniting four celestial beings: Sun, Clouds, Clear Sky, and He That Lives in the Clear Sky. Fire was a manifestation of this being. There also were healers called alikice that combatted evil spirits. 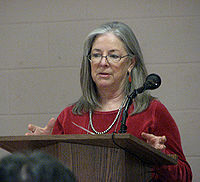 Most contemporary Chickasaw are members of the Methodist or Baptist faith. Dwellings were built of pole-frame construction with clapboard sides. They were whitewashed with powdered shell. The doorway usually faced east. Winter houses were semi-circular with a narrow door and were excavated three feet below the surface of the ground. Their diet consisted of corn, beans, squash, and sunflower seeds. Hunting and fishing also provided a source of protein. Tea was made from sassafras root. Pashofa, cracked white hominy boiled with pork, is a main dish which is still eaten. Hogs are not native to the Americas, but escaped and became feral from De Soto's expedition. Today, the Chickasaw population has risen from the 3,000 forcibly removed to Oklahoma in the 1830s to approximately ten times that number. The Chickasaw Nation is federally recognized as a tribal entity. The Nation owns casinos, recreation parks, and stores. This blood is a map of the road between us. I am why they survived. The world behind them did not close. All around me are my ancestors, my unborn children. ↑ American Indian, Alaska Native Tables from the Statistical Abstract of the United States: 2004-2005 Retrieved August 30, 2007. ↑ 2.0 2.1 Barry M Pritzker, A Native American Encyclopedia: History, Culture, and People (New York, NY: Oxford University Press, ISBN 0195138775). ↑ 3.0 3.1 Theda Perdue and Michael D. Green, The Columbia Guide to the American Indians of the Southeast (New York, NY: Columbia University Press, 2001, ISBN 978-0231115704). ↑ Greg O’Brien, Chickasaws: The Unconquerable People. Mississippi History Now. Retrieved on August 20, 2007. ↑ Barbara J. Cook (ed. ), From the Center of Tradition: Critical Perspectives on Linda Hogan (Boulder, CO: University Press of Colorado, 2003, ISBN 0870817388), 1. ↑ Public Affairs Department, University of New Mexico. "UNM ASSISTANT PROFESSOR WINS AMERICAN BOOK AWARD", September 7, 2001. Accessed June 27 2007. Calloway, Colin G. The American Revolution in Indian Country. Cambridge University Press, 1995. This page was last modified on 10 February 2017, at 16:51.